Human use of fauna varied across our study area during the Archaic Period. Differences and changes in resource availability within and among subregions set the stage for some of that variability. However, changes in human choice and selection, steeped in cultural practices and traditions, were critical to the changes we documented. 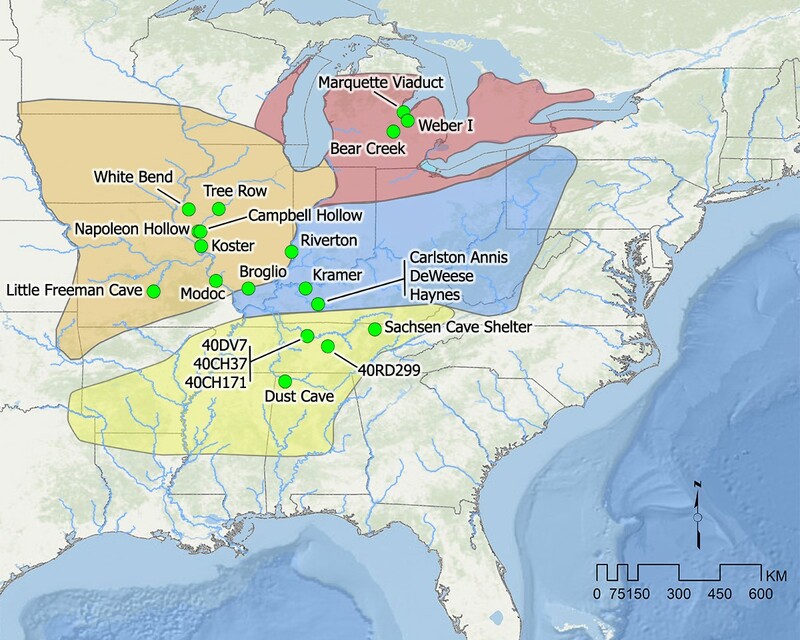 Our grant research documented variability and change in human use of animals during the 8,000 year long Archaic Period within and among our subregions of our study area. Some of the variability within and among subregions was made possible by differences in resource availability and environmental changes across our broad study area. Clearly the environment and environmental change did not determine human use of animals in any area. People don't have to eat something just because it is available or abundant. However, abundance certainly might influence the decision whether or not to hunt or collect an animal. The variability and change we see is ultimately a product of human choice and selection based on cultural practices and traditions. In general we see greater use of aquatic resources in the Middle and Late Archaic periods than in the Early Archaic Period. Both environmental and cultural factors affected variability and change in the use of aquatic resources across our study area. The types of aquatic resources selected varied within and among subregions. We need to analyze the data for more sites from across our study area to better understand how cultural practices varied across space changed through time as environments and human societies changed. In many cases, human societies took advantage of changes in the abundance of animals. Our study has raised more questions than we have answered. We have preserved our data in the Digital Archaeological Record so researchers with new ideas and new tools have the opportunity to answer the questions we have posed and many more.